The share of mortgaged homes with negative equity in California rose for the first time since 2009 in the fourth quarter (Q4) of 2018, increasing slightly from 2.3% in Q3 2018 to 2.4% in Q4 2018. Despite the reversal, this is still down from 3.0% a year earlier. A rising number of underwater properties is expected in a falling price environment, as many homeowners who purchased in Q3 2018 saw their home values decrease by year’s end. A sharp decline in negative equity occurred in 2012-2013. However, the disappearance of speculators (and the rapid price lift they wrought from the single family market in 2014) has led to a more gradual rise in home values that continued through much of 2018, peaking in Q3 2018. Now that home values have begun to fall, the number of underwater homeowners will continue to rise in 2019, picking up speed with the same pace as home price decreases. 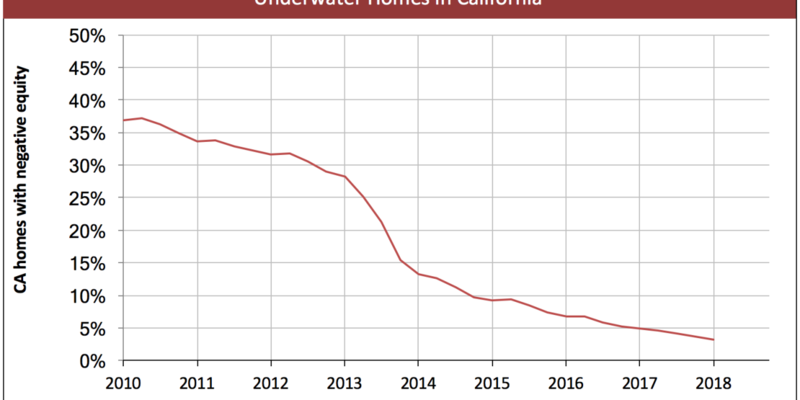 While more underwater homes will be present across the state in 2019-2020, they aren’t likely to return to the numbers experienced during the 2008 recession and long recovery. Updated March 14, 2019. Original copy published November 2012. As of Q4 2018, 2.4% of California’s mortgaged homeowners owed more on their mortgages than the value of their homes. These California homeowners are underwater. These economic tenants are unable to fully contribute to the state’s economy. An excessive portion of their income goes toward paying above-market interest rates on their mortgages. Most underwater homeowners make monthly mortgage payments greater than the rental value of the property. That money is sucked into their black-hole asset, and removed from the economy. Instead of going towards goods and services, the money just makes Wall Street bond market investors richer. The negative equity share varies by state and particularly by neighborhood. While California’s share of negative equity homes stands at 2.4% in Q4 2018, the Los Angeles-Long Beach-Glendale metropolitan area rose slightly to 1.5% share of negative equity, while San Francisco-Redwood City-South San Francisco metropolitan area also increased slightly to 0.7%. Up until the end of 2012, any decrease in underwater homes was mainly due to short sales and foreclosure sales. However, the price jump experienced in 2013, particularly in low-tier homes, is credited with pulling many homes into positive equity, accelerating the disappearance of underwater homeowners. This price increase has leveled out, as it was due primarily to speculator activity, which has substantially slowed down. As of Q4 2018, the average California homeowner gained $20,000 in equity over the previous 12 months, a decrease from Q3 2018 when the average home gained $37,000 in equity. As price increases ended in Q3 2018, expect the percentage of underwater homes to continue to rise in 2019. These numbers will grow until prices reach their next bottom, anticipated around 2021. The rate of delinquencies, notices of default (NODs) and rising home prices are indicators of when underwater homes will disappear. 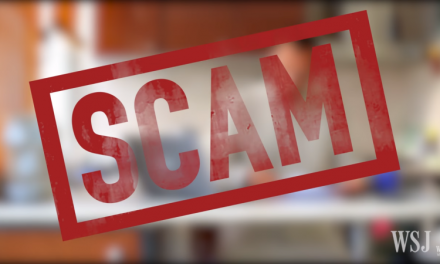 An NOD is filed when a homeowner is three or more months delinquent on their mortgage payment. California’s inventory of homes in foreclosure comprised just 0.5% of all mortgaged homes in the state in July 2015. However, as prices continue to fall in 2019, expect foreclosures and the resulting distressed sales to creep back up. By then, increased mortgage interest rates will have reduced purchasing power for long enough to push down home prices, increasing negative equity and thus driving a modest increase in foreclosures. Home prices remain higher than last year’s prices going into 2019, though the increase is markedly smaller than experienced anytime since 2012, and prices have fallen on a monthly basis since August 2018. Expect prices to continue to fall in 2019. Rising mortgage rates have finally caught up to homebuyers, causing sales volume to drop quickly in the second half of 2018, placing downward pressure on home prices. As prices rise and fall, homeowners may see their home boosted into positive equity one month, only to fall underwater then next. A sustainable rise in pricing will not occur until it can be supported by end user demand. Demand will return after the conclusion of the next recession, around 2021. When will my home (and I) be solvent for good? Underwater homeowners hoping for prices or amortization will make them solvent will eventually reach their goal. Of course, this will take roughly 10 to 15 years of paying into an underwater mortgage. Eventually, (around 2020 for underwater homeowners who purchased at the height of the Boom), their principal balance and home price will crossover for good. Then, for the first time, their mortgage payments will actually create positive equity. After 10 to 15 years, they’ll finally know the magic of amortization. The wildcard in this timeline is asset inflation. Home pricing undulates around the historical mean price, at times above and at times below. During a mini-boom bounce, home prices may briefly carry some homeowners out of negative equity. 2021-2023 appears to be set as the next mini-boom on the horizon. Homeowners waiting for market momentum to create equity might sell then. For the stalwart others who continue to pay, see you in 2020 at the earliest. I’m looking for statistics regarding the distribution of equity all the way up the value levels, starting from those with, say 0-$10,000 in equity, “to infinity and beyond.” ;-) I’m focused on California, but it would be helpful to get the information for any or all states. Any idea where I could get such statistics? HUD doesn’t seem to have them, or doesn’t make them easy to find. That’s natural enough since HUD is focused on low-income people. 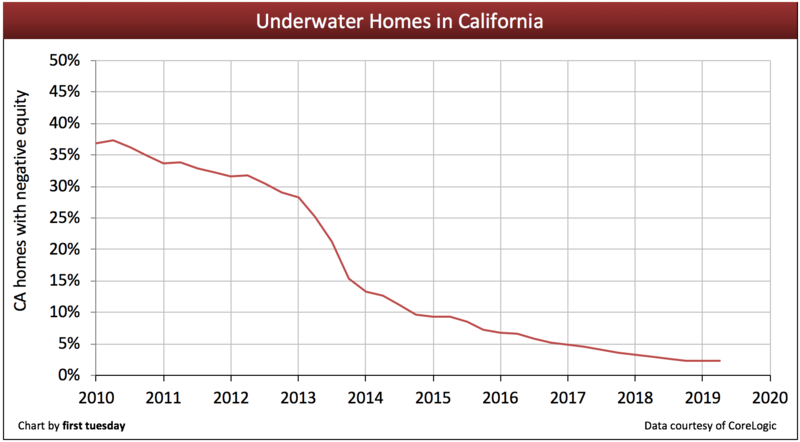 The data in our Underwater Homes chart is courtesy of CoreLogic. CoreLogic’s negative equity report will have the information you need. You may download it for free and search negative equity by severity and by state at this link: CoreLogic Negative Equity Report. How is it that people commented in 2012 on an article that wasn’t published until 2015? Calculating the number of underwater homes is very difficult. First, loan balances can be higher, the same, or lower than indicated by the D/T. Second, values, especially AVMs, are very difficult to estimate, even in the case of individual appraisals. Third, we often have no information about interest rate; e.g., an ARM with a current rate of 2.5% but an LTV of 110% may be less at risk of foreclosure than a 95% 30 year fixed at 5%, even though the former is underwater. Loan modifications have also complicate assessment of the danger for homes that may be technically underwater. E.g., a client received a mod with an 18% principal reduction and a rate on the balance of 2% fixed for 35 years. Another client received a principal forbearance of $400,000 that bears no interest for 40 years. Those statistics would not show up in any public data. I am not aware of any way the above underwater analysis could account for any of the foregoing factors. Some of the factors would increase the portion, some would decrease. But the real problem is whether there is payment distress, and underwater analysis sheds no light on that. THE RED DOTTED LINE IS WRONG. THIS LINE IS BASED ON THE SAME “appreciation rate” from 2009 to 2012…. Wrong… If the appreciation rate is the SAME, that line is good. But the APPRECIATION RATE IN CALIF. IS EXPECTED TO BE ABOUT 8-15% PER YEAR FROM 2012 TO 2016. That’s more than double (some times 3-4x) the rate from 2009 to 2012. The “appreciation” of these Underwater homes will make the declining line dive very quickly. My “shoot from the hip” based on the numbers, will make the line more of a NOSE dive like 5 O Clock vs. 330 on your graph (100 degrees on graph vs. 160 degrees)….. Does this make sense to you based on 8-15%/year appreciation? Input the $40billion per month on QE3 and the low Rates practically guaranteed to 2015 by the FED & the appreciation rates will be “supported” by the cash inflows. This will devalue the Dollar and increase our exports too. This is GOOD NEWS FOR EVERYONE EXCEPT THE PERSON THAT HAS 100% CASH EQUIVALENT ON THEIR BALANCE SHEET.